KIITEE 2019 Application Form has released. Also, the last date to fill the application form online has been extended upto 10 April 2019. KIITEE, a common entrance exam is conducted by the Kalinga University i.e. Kalinga Institute of Industrial Technology (KIIT). Clearing this examination with good grades i.e, above cutoff marks is mandatory for candidates to get enrollment in this university. Candidates qualifying this exam can obtain a seat in engineering, law and other numerous UG and PG courses offered under this university. The candidates must ensure that they have the following documents ready before starting the online application form. 1. A printed copy of this instruction sheet. 2. Xerox copies of class – X Mark sheet/Board Certificate. 4. Scanned copy of applicants passport size colour photograph only(In jpg format and size, not more than 50 KB). 5. Scanned copy of applicants signature. (In jpg format and size, not more than 50 KB). It offers candidates admissions in their offered graduate and undergraduate courses. The application form has available 16 November 2018 onwards. 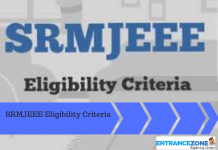 Candidates must check their eligibility before taking a step towards the application form. Firstly, KIIT University will release the application forms for KIITEE 2019 through online mode only on the official website. Also, the application forms will be available tentatively from First Week of December 2018. But, no application forms will be available in offline mode. Moreover, application forms will be available on the official website only. Then, the aspirants must read all the instructions available in the information brochure released by Kalinga University. Further, the candidates can check the application status on the official website after twenty days from dispatch of the application form. Finally, after completely filling the application form, the applicants must send it along with the required documents to the address given below. KIITEE 2019 Exam will be held in online mode i.e, computer-based. The Dates are announced by KIIT University, Bhubaneswar. Counselling Schedule Details will be released after result declaration. Aspirants who wish to apply for KIITEE should be born on or after June 1996. No aspirant above the age of 20 years will eligible to appear for the examination. Aspirants wishing to apply for KIITEE must have marks not less than 60% in their 10+2. Aspirants must hold Indian passport. The aspirants must pass the qualifying exam i.e, 10+2/ equivalent in 2016/2018. Those appearing for the qualifying examination in 2019 are also eligible to apply for KIITEE 2019. The application forms would be available to the aspirants in the 2nd week of December. The form would be available on the official site of KIITEE. The window to fill the form would be open for 90 days. There are no application fees for KIITEE 2019. How to apply for KIIT Entrance Exam – Kalinga University? Firstly, visit the official website of KIITEE Form. There you can also download the application form. Finally, the submit the application after checking that all the details are correct. But, no changes can be made after submitting the form. Also, take a print of the application. Further, affix the passport size photo and put your signature on the hard copy. Attach the relevant documents post to the KIIT University by speed or registered post to the following address. There is No Application Fee for filling in the application form for KIITEE 2019 for admissions to Kalinga Institute of Industrial Technology, Bhubaneshwar, Odisha, India. Xerox copies of Class-X Marks Sheet /Board Certificate. The procedure and description of uploading the docs and photo in KIITEE 2019 Application Form is mention here. Candidates upload the colour Photograph in jpg or jpeg format only and size should not more than 50kb. Candidates must upload the signature in jpg or jpeg format only and size should not more than 50kb. Upload the Class X Marks sheet in jpg or jpeg format only and size not more than 1 MB. Hall Ticket or Admit card for KIITEE-2019 will not be sent by post/courier. After processing of the Application form, Admit card will be hosted on the website. 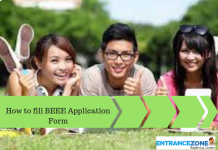 The candidate has to download the admit card from our website www.kiitee.ac.in. Stay Tuned and read more Kalinga University Entrance Exam Here. 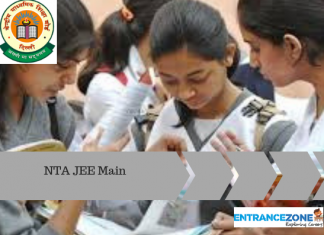 kiit admission 2019, kiit form 2019, kiitee 2018 application form fee, kiit application form 2019 for btech, kiitee 2019 login, kiitee 2019 exam date, kiitee 2019 mba, kiit entrance exam 2019, kiitee 2019 fee structure.